Dads, spend a quality night at the Cool Creek Nature Center with your little girl and dance the night away at our eighth annual Daddy-Daughter Dance. Snacks, refreshments, music and games will be on the agenda for a fun-filled night. Pre-registration and pre-payment is required and space is limited! The Cost is $10 per father-daughter couple, $3 for each additional daughter. 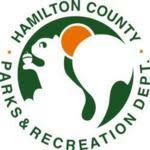 Pre-Register by visiting myhamiltoncountyparks.com. Payment is required at the time of registration. Registration opens December 1 and closes when spaces are filled.